Zelscope is a Windows software that converts your PC into a dual-trace storage oscilloscope and spectrum analyzer. It uses your computer’s sound card as analog-to-digital converter, presenting a real-time waveform or spectrum of the signal – which can be music, speech, or output from an electronic circuit. Zelscope features the interface of a traditional oscilloscope, with conventional gain, offset, timebase, and trigger controls. As a real-time spectrum analyzer, Zelscope can display the amplitude and phase components of the spectrum. The typical input voltage should be about 1 volt AC at the line-in jack of the sound card, so a voltage divider or a buffer amplifier is highly recommended. Zelscope also allows for an easy measurement of short time intervals in mechanics experiments. Zelscope has proven useful in debugging music and sound processing software. Hobby Electronics, Computing, Kits and Projects. Online version of Australia’s only electronics magazine, and is primarily directed to professionals, trades people and enthusiasts in the electronics, electrical, computer and related fields. 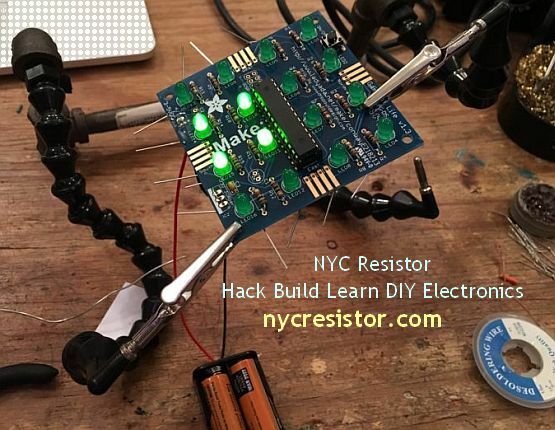 Projects to build do it yourself to save money, to learn new skills or simply for the fun of it!. Serviceman’s Notebook Actual cases, often unusual, from the bench of a full-time serviceman. Vintage Radio bringing back to life the discards of previous generations. Each Silicon Chip design is carefully checked and tested and readers with the appropriate construction skills should be able to duplicate the design and have it work in the same or similar manner to the prototype. Here are some Hobby Scopes that might even be quite professional if you develop them further. They are virtual instruments. Making Scopes with tablets may be much more easy now. 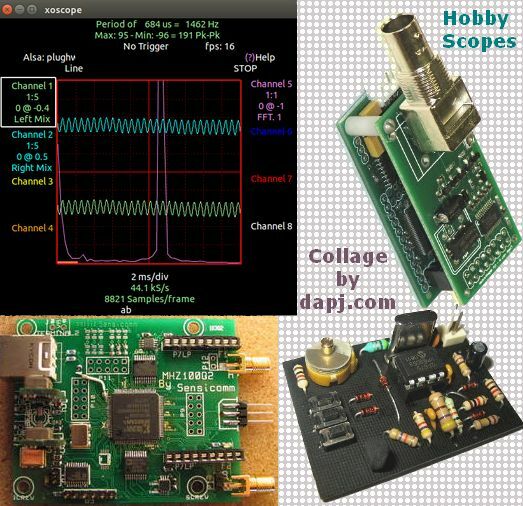 Digital oscilloscope – Build a simple Inexpensive digital oscilloscope. Single channel, about 100 MSPS. RS-232 based. 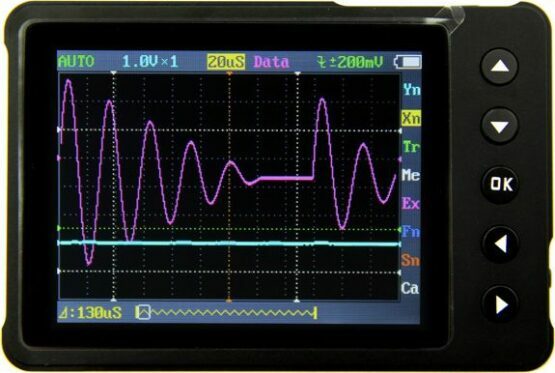 xoscope is a digital oscilloscope using input from a sound card orEsounD and/or a ProbeScope/osziFOX and will soon support Bitscopehardware. Includes 8 signal displays, variable time scale, math,memory, measurements, and file save/load. MHZ100Q is a low cost FPGA-based high speed data acquisition system. Version 2 is a standalone board containing 2, 100MHz 8-bit A/D channels, preamp, 7th order elliptical antialiasing filters, and a Xilinx FPGA. A USB interface is implemented in the FPGA firmware. Power comes from the USB bus. Schematics, VHDL and Verilog source code, and signal capture and display software are available and being posted. There are places like your Backyard, outdoors, a village… where your Gadgets will stop working !!! You will feel suffocated when your Smartphone or Tablet fails to respond to your caring strokes. Your Dupey is perishing due to Undernourishment. All you need is “Electronic Solar Umbrella” which was invented by me delabs on June 1st 2014. The Red Light is for Data Networking SmartUmbrellas using Advanced Multi-Threaded Infra Red Technology. I just invented the SmartUmbrella – My Drone is Rushing to the Patent Office. Auto measurement – Useful for quickly exploring signal characteristics. Measurement options include frequency, cycle time, duty cycle, peak voltage, RMS voltage, average voltage and DC voltage. Please note that frequency, cycle time and duty cycle can only be measured while triggering. Features – Waveform storage and playback, 6 triggering modes, 200Khz Analog Bandwidth, Complete measurement markers and signal characteristics. Built-in Signal Generator too. User Interface Overview – The screen is broken into a central display area and 3 operation bars around it. The menu on the top provides the most frequently-used adjustments to signal display. The status bar on the bottom provides precise measurement results and monitoring status. Adjust more advanced functions with the column of function icons on the right. Chan has many projects for learning the use of Microcontrollers. even Instruments. You can even study about how to develop a PC Interface for electronic design you made. Then there are pages on Audio and Video Processing. See the LED Lantern and the Capacitance Meter too. This is an experiment on the closed loop DC servomotor control system (SMC). It will able to be used for practical use with/without some modifications.